The very handsome Montgomery Clift. I wanted to share a piece of information I learned a couple of weeks ago, which was surprising to find out just now since I have lived in Brooklyn for over ten years! When researching the names of the architects of Prospect Park (Olmstead and Vaux), mainly to find out if it was true that they preferred Prospect Park to Central Park (which they did, amazingly), I found out that the Friends Cemetery in Prospect Park holds the remains of Oscar-nominated actor Montgomery Clift. This was news to me! I spend a lot of time on the Central Drive in the park. I run while my son rides ahead on his scooter. I knew that the Friends Cemetery was along Center Drive because I pass it all the time. 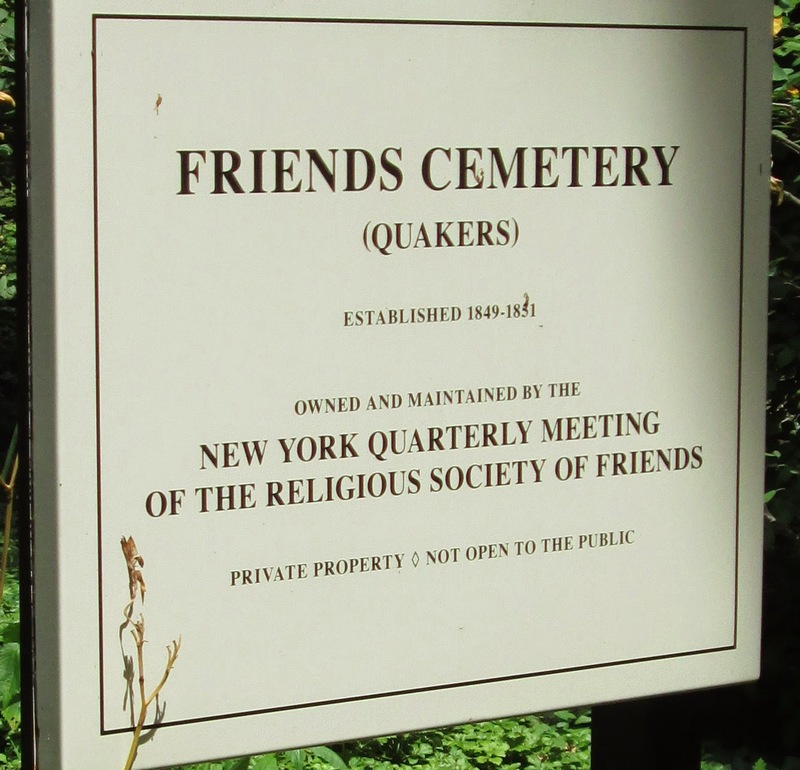 It is a private cemetery owned by Quakers and it pre-dates the building of Prospect Park, which is why it’s still in existence today as working cemetery, with about 2,000 graves in it. The cemetery is almost always locked and there is barbed-wire around all of its tall black iron gates. The Quakers don’t want you there! This sign is only up when the Quakers have their meeting. They do not like publicity! Another sign that is normally never up. The day I took these pictures the cemetery happened to be open for a Quaker meeting. While I snapped photos I watched groups of people, usually in twos, walk up the drive, only to return, as I knew they would, moments later. People thought the cemetery was open for an official tour perhaps, or to just poke around in, but that was not the case, as I knew it wouldn’t be. The signs were up probably to help Quaker newcomers to find the entrance, which is as hidden as they come, but the place is not open to passerby and rarely is. The cemetery pre-dates Prospect Park. At the time of his death on July 23, 1966, Mr. Clift lived in Manhattan on E. 61st Street. His mother, Sunny, was a Quaker and it is through her that he was accepted for burial at the Friends Cemetery in Prospect Park, Brooklyn. A few of the headstones can be seen from the gate. I’ve read that caretakers of the cemetery will not tell you where Mr. Clift is buried because his family did not like that, early on after his interment there, people left pictures of him (and of Marlon Brando and James Dean) on his grave. On the rare occasion when the cemetery is open to the public, the tour guide will not point out Mr. Clift’s headstone, not even when asked! On set with Elizabeth Taylor while filming A Place in the Sun. I did find an article in The New York Times titled “He’s Here for Eternity, But Don’t Ask Where” (love it), that said a tour-goer named George Krauss once found the headstone and was able to snap the picture below. He said Mr. Clift is buried close to the fence and facing the Long Meadow, which is lovely, verdant, and dotted with baseball diamonds. So, in our midst here in Brooklyn lies a Hollywood star, surrounded by the activity and life of a very popular park and yet quietly protected from it all. Mr. Clift’s headstone in Friends Cemetery, Brooklyn NY. Photo by George Krauss. Mr. Clift was an accomplished stage actor on Broadway and lived for a time in Queens! 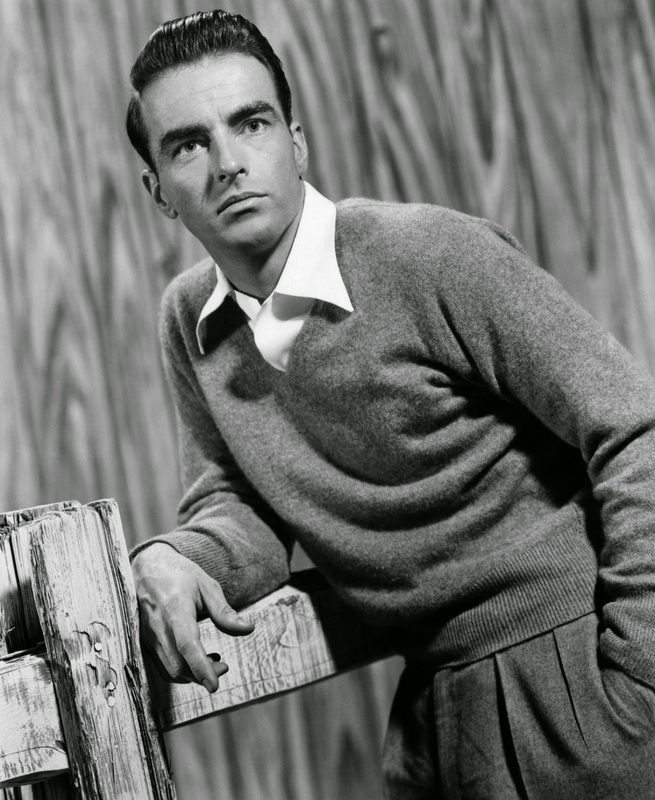 Montgomery Clift died on July 23, 1966 at the age of 45. He left behind some beautiful and moving work. My two favorites are A Place in the Sun and Suddenly, Last Summer. 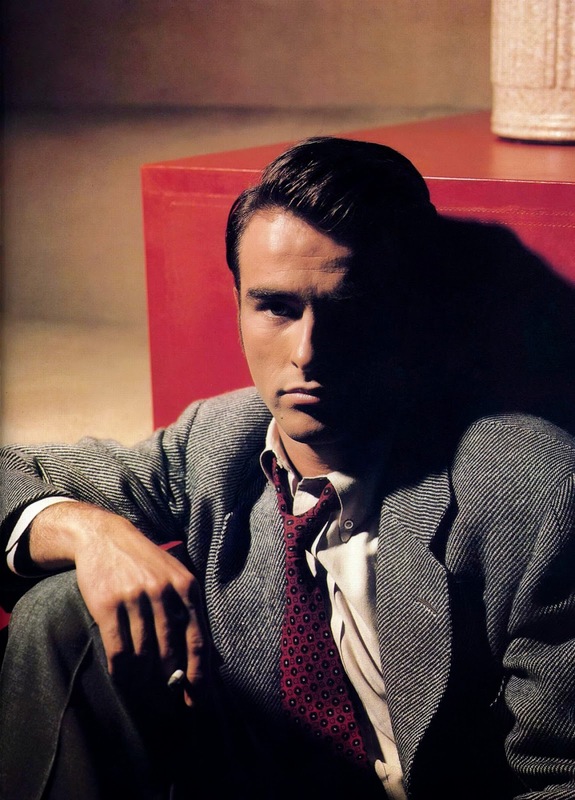 If you have a favorite Montgomery Clift movie, let me know what it is. All pictures of Mr. Clift from Doctor Macro. Interesting. Prospect Park beautiful & so was Montgomery Clift. Clift and Elizabeth Taylor in "A Place in the Sun". Was there ever a more gorgeous couple on the movie screen. That very close-up kissing shot. Wow! Had forgotten he died so young & apparently such a tortured soul, addicted to booze and drugs. My mother loved Montgumery Clift and Charlton Heston so much. This was really interesting Jill. Thanks for sharing! Hi Rosie! Yeah that was some kiss by ET and Monty, huh. I know just which one you mean! 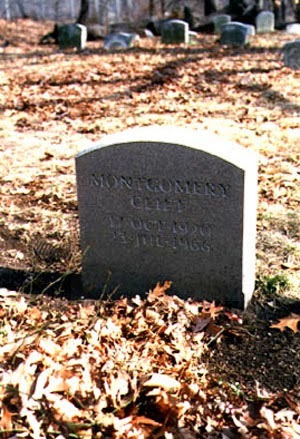 It's funny, "A Place in the Sun" had just been on TV about a week before I learned Monty is buried in Prospect Park. I can't believe I didn't know this before now, but I am much more acquainted with Green-Wood Cemetery and it is far more famous than the Friends Cemetery. I'm sure the Quakers like it that way! Monty's auto accident was down the road from Elizabeth Taylor's house & she called the ambulance & just about saved him. The house was in the hills of Calif. The two of them had filmed many scenes for Raintree County and many scenes were filmed after his accident. You can see he looked like two different people. So sad, he really went downhill after that accident. Hi Nancy! Wow, thank you for such a lovely compliment! Monty seemed like such a sensitive soul, from what I have read about him so far, that I can't help being touched by his story and I think it is amazing he is buried in the private cemetery of such an active public park! I called the Park to get permission to visit Mr. Clift's grave and received a firm, "No" in response to my request. Montgomery Clift is my favorite actor and it's hard for me to choose a favorite among the films he made, but I recommend The Search for his naturalness (he was often mistaken for a real soldier in this role), The Heiress for his modern, yet believable, acting style in what is a period piece, and I Confess for his restrained acting and convincing emotion conveyed through facial expression. NYC is full of great stories! Every movie that Monty made I find interesting in some way. My favorite is of course"A Place in the Sun". I wish I could have met him! 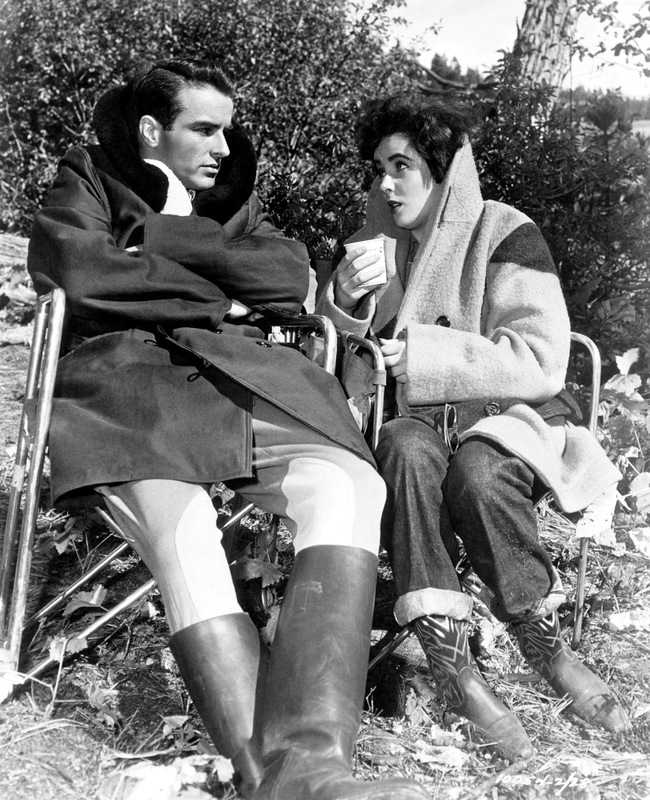 Montgomery Clift and Liz Taylor, who could ask for more? A place in the Sun and The Heiress are my two favorite Monty films. I could watch him read the phone book. He was private and troubled, but now I pray he is once again having a great time with Liz. Hi Linda, I just now saw your comment! I am with you, I wish I could have met Monty in person! Hi Lisa, oh yes, I sure hope Monty and Liz are have a good ol time in the beyond. I totally agree, he could've read the phone book and I would've paid for tickets!